In the hours and days following the shooting attack at Santa Fe High School in Texas, rumors swirled that the attacker was a victim of bullying–at the hands of both fellow students and coaches on the school’s football team. Santa Fe Independent School District subsequently conducted an internal investigation that found these rumors unfounded. Still, the Santa Fe attack serves as a stark reminder of just how important bullying is to the school safety puzzle. 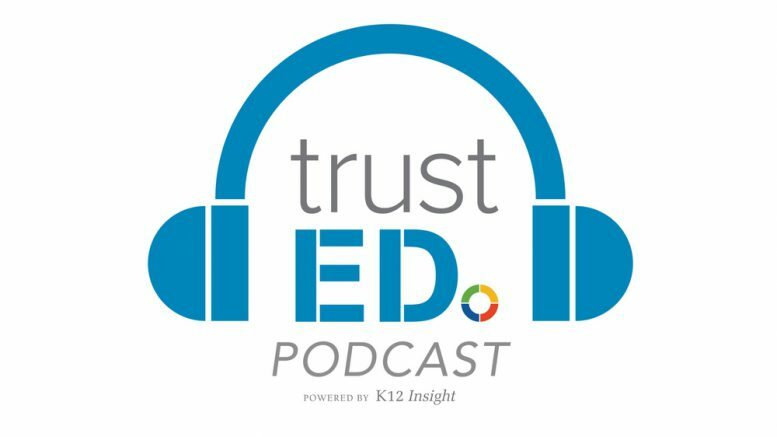 In the final episode of our school safety podcast series, we continue our conversation with Dr. David Blaiklock, senior director of research at K12 Insight (which produces TrustED). Dr. Blaiklock walks us through the important concepts schools must understand in addressing bullying and safety in their schools and what challenges lie ahead. If you haven’t heard the first two episodes of our school safety series, you can listen here. You can also read a full transcript of the podcast below. Let us know what you think–and help us continue the conversation by leaving your comments here on TrustED, or on social media. Want more on ensuring safe schools and facing bullying? Sign up for the TrustED newsletter. Todd Kominiak: This is the TrustED podcast. I’m managing editor Todd Kominiak. Another school shooting. Another wave of outrage and fear and sadness. More questions about why and how such a tragedy can happen. In the hours and days following the attack on Santa Fe High School in Texas, which took the lives of 10 students and teachers and injured 13 more, rumors swirled around the potential reasons that drove the 17-year old student attacker to carry out such a gruesome act. Was it an obsession with violent imagery? Was it rejection from a school crush? Was bullying to blame? Following the shooting, the suspect’s attorney suggested that he may have been the victim of bullying–both from fellow students and coaches on the high school football team. Santa Fe Independent School District has since denied these rumors, saying their internal investigation showed no evidence of bullying. We may never know the real motivations behind the attack. It’s nearly impossible to rationalize such horrendous violence. But the issue of bullying and its potential role in extreme school violence is something researchers and educators have been examining since the Columbine attacks nearly 20 years ago. We’ve learned a lot about bullying in those 20 years. But the issue–and how schools deal with it–is no less complicated today. This is the third and final episode in our series on school safety. Today, we take a look at bullying. And, how schools can work with their communities to help keep students safe from abuse. In this episode, we continue our discussion with Dr. David Blaiklock, senior director of research at K12 Insight. Dr. Blaiklock says it’s important to take a step back and understand that creating a safe environment for learning is directly connected to student success. Dr. David Blaiklock: The physical safety and the mental safety are very well tied together in the sense that if I’m going to get punched in the face when I walk into school, then I’m going to feel pretty bad about school and I’m going to worry my next day if I I’m going to get punched in the face walking into school again. Now, that’s a very extreme example of it, but it goes into a lot of softer touches as well. If somebody’s going to make a fake social media profile of me, and say a bunch of goofy stuff, that’s also a fear. A recent survey in the Journal of Adolescent Health found that at least 6 percent of students engage in some form of digital self-harm, which includes using anonymous accounts to post derogatory comments about themselves online or on social media. While more research about this growing phenomenon is necessary, many child psychologists liken this digital self-sabotage to physical self-injury–think cutting or burning, for example. Clearly, the common understanding of what bullying is has changed from past generations. Student abuse is much more complicated than the classic depiction of a student being stuffed in a locker or harassed in the school hallway. That’s because K-12 schools themselves have changed dramatically. Dr. Blaiklock: One of the biggest challenges I’ve seen in the work that I’ve done here is that when you engage parents in your community, people have a vision of what school should be based on what their experience was five, ten, 15, 20, 25, 30 years ago. I graduated from high school before the internet. School is a much different place than it was when I was in high school. And, it’s a much different place than it was ten years ago. So, it is a matter of finding a soft way of educating your community that the school experience is a little different than what it was, because the world is different than what it was. Kominiak: Parents’ misconceptions about the nature of your schools may also carry over to their understanding of how much bullying is actually occuring in those schools. In his own research, Dr. Blaiklock has seen that perceptions about whether bullying is actually a problem vary widely among teachers, parents, and students. Dr. Blaiklock: Teachers have the inside knowledge of what’s going on inside the school. And so, they are much closer to the observable phenomenon and it becomes much more observable and less perceptual. As you move further away from the observable–because parents are not in schools for the majority of the school day–then they are relying on kind of what they think and what they hear. And so it is a matter of changing the storyline. One of the things we’ve seen in our work here on bullying is a strong disconnect between staff and students about a lot of issues, because the students are so much closer. Because again, they are the potential victims; they are the potential perpetrators. Teachers may not be as dialed in to what is going on as they think they are. Kominiak: As with any issue, negative perceptions about bullying in schools–whether founded or not–often become reality. Dr. Blaiklock: I’ve learned that interpretation is more powerful than fact. And so the perception itself becomes a reality and that becomes shared information that people feel or have a fear that they’re going to be bullied, because there’s this perception of a bullying problem. When the reality is: there may not be a bullying problem at all. So it really is a matter of kind of keeping very public, very public-facing: 1) The number of incidents of bullying that are actually reported; 2) A really easy, streamlined protocol and process to report bullying, so you make sure you actually know how much bullying is happening; and 3) That you are actually sharing out as much as you possibly can, your policies and your procedures to your students–and to your parents and your staff members, for that matter–of what happens when a bullying report comes in. So that is a very clear and transparent process. Kominiak: One district that is taking this approach to school safety to heart is Klein Independent School District in Texas. Organized in the wake of the Parkland attack, the district’s Keep Klein Safe campaign is an online initiative and training program that empowers students, parents, and staff to report safety concerns, ask questions, and inform the district’s evolving safety and security policies. Dr. Bret Champion: Safety is always our top priority. Without safety, both physical and emotional safety, we can’t make our shared vision come to life. Kominiak: This is Dr. Bret Champion, superintendent at Klein ISD. Dr. Champion: But in the face of that tragedy at Parkland, there was just this real need to be able to communicate. And also, not just to push a message out, but so many people in the district were getting questions and trying to understand how all the pieces fit together. We had questions from all sectors of our community. Great questions from our parents and our students, and certainly from our staff as well. Kominiak: According to Justin Elbert, the district’s Community Relations Manager, Keep Klein Safe takes advantage of the changing nature of schools and student communications. Justin Elbert: Now, the kids go home and they’re even more connected at home than they are in school. So, they’re in their rooms and they’re connecting and they’re going back and forth and they’re sharing. That’s the thing. They’re sharing all these pieces they hear. They’re our eyes and our ears and we had to find a way to peek into that and get them to outcry to us. Get them to self-report. Kominiak: According to Jenny McGown, deputy superintendent at Klein ISD, this constant, two-way communication with community members and students is an important way for the district to promote student mental health. Jenny McGown: Yes, we want them to be equipped scholars and we want them to be physically safe, but we also want them to be mentally healthy. So again, being able to use this particular campaign to get a feel for the conversation around the things that students are worried about, that they’re concerned about, the way that our students are feeling, and then being responsive. Not only connecting them to the chief of police, for example, but also getting them immediately connected to our counselors, to our parenting community, and engagement support. That has just been so helpful to us as a district as we try to keep students safe from their heart to their head to their physical bodies. We want the whole student to be safe in Klein ISD. Kominiak: According Dr. Blaiklock, mental safety is just as important to student success as physical safety. Dr. Champion: From a mental safety perspective, again, students are going to be much more available to learn, if they feel safe. In my own work in the classroom–working with students with children with emotional disabilities between the ages of 16 and 20 in a self-contained classroom–they often did not feel safe. They were often postering to each other. So, their way of postering to each other was to threaten and attack me, because I was the safe target. I was the one who was not going to fight back. That’s a very atypical experience, but again, it gets back into students feeling mentally safe within the school. Kominiak: One other important consideration for school leaders and researchers, according to Dr. Blaiklock, is to look at whether our current conception of bullying is too broad. Dr. Blaiklock: But I was doing a set of focus groups with some students and we were talking about bullying. And, their take on it was it’s just too big and broad a term. And what needs to happen is, rather than referring to everything as bullying, looking at it from the terms of these specific behaviors associated with it and break it up into all of those pieces and address those behaviors head-on. Rather than having this overarching term that covers everything from me getting beat up after school to somebody threatening me to somebody saying something mean about me online. Kominiak: This is something we’ll continue to explore moving forward on TrustED. As we said in our first episode, the issue of school safety is a big one. In light of recent events, it continues to be the most important challenge school leaders face. How does your school or district engage your community about important issues like bullying and school safety? What systems do you have in place to bolster security in your schools? Let us know. We’re on Twitter @K12trustED. We’re also on Facebook. And of course you can always reach us at k12insight.com/trusted. Be the first to comment on "School Safety Podcast #3: New conversations about school bullying"